The Grand Prix events at Detroit, Melbourne, and Bologna are over and done and the Eldrazi have been proven well beyond reasonable doubt to be utterly overpowered and definitively banworthy. Aaron Forsythe has all but decreed there will be a banning in April, and all that’s left for us is to shift through the wreckage and prepare ourselves for the post-Eldrazi world. Detroit did not go well for me. I’d like to say I fought the good fight against our tyrannical overlords and came up short, but the truth is I ran so cold that I would have done poorly even without the Eldrazi warp. I was going to do my usual detailed tournament breakdown, but there’s only so many times you can write “I drew my fourth consecutive land and conceded” and have it be interesting. Instead there will be a more general recap of my time in Detroit followed by my projected post-ban metagame. Hopefully we can all put this frustrating chapter of Magic history to rest and look to a far more interesting future. I had scouted the field at the Friday night Last Chance Qualifiers and had come to the conclusion that Lantern Control and Living End would be very popular. With the increased use of Ensnaring Bridge and Ghostly Prison against Eldrazi, I wanted extra answers for non-creature permanents. Eldrazi demanded I play an additional Echoing Truth rather than two Disenchants. Not that any of that ever came up for me. After my two byes I went 2-4 drop, beating Burn and BW Tokens and losing to Blue Moon, Affinity, GR Eldrazi, and UW Eldrazi. Blue Moon and Affinity were repectively my first and last losses and both opponents drew so well, particularly in Game Two, that I would have had to run hotter than the sun to beat them. As it was, I spent the weekend standing outside in my boxers in the Antarctic winter and just got crushed when my reasonable keeps failed to develop and they had the right answers at the right time every time. I drew half my lands both games against Blue Moon after having every threat I played one-for-oned. Affinity had multiple Master of Etheriums and Cranial Platings both games, and a devastating Whipflare Game Two. I wonder what it’s like to have everything, it seems nice. I beat Tokens mostly because my opponent had lots of discard and removal but no threats. I beat Burn thanks to his poor draws more than anything (he had eight lands in play, had fetched four times, was Pathed once, and three more in hand when he died game two). The only interesting play was in Game Two against Burn where I declined to play a creature turn two after he left up Searing Blaze mana. He played his third land and passed back, which I took to mean he only had Searing Blazes in hand at that point (I was right). I wait and just pass for multiple turns, hoping for him to run out of lands but that never happens so I use flashed Harbingers to draw out the Blazes before using Reejereys to dump my hand in one turn. My Eldrazi matches were far more interesting. Both times, my opponents had great hands to my mediocre Game One to crush me, and in both Game Twos I had multiple Seas and plenty of gas to crush them, despite my GR opponent using Blasphemous Act twice. In game three against GR, he plays no early spells so I carefully manage my threats to play around sweepers until I have enough mana to tempt him with a lord, a Cursecatcher and two Adepts. I also have a Vial and another lord for when he goes for Kozilek’s Return and would not have been able to cast Act or World Breaker next turn. He does have Return, and also Dismember for my response lord, and I can never rebuild because, once again, I started flooding out after playing all my gas. I saw no Seas (or a card that I would have taken out for an additional Claim) that game so he’s free to crush me with Eye of Ugin. Game Three against UW was closer. I have Claim and Seas but he never plays an Eldrazi land. Instead, he plays a very fair game and had to tap the correct amount of lands to cast his spells. Novel, I know. I end up using my Seas on his Hallowed Fountain so his only source of white is Adarkar Wastes, which nets me an extra four damage. Unfortunately, I’m flooding and he wins off a topdecked Reality Smasher and a sandbagged Path to Exile when I cannot kill him when he tapped out the previous turn. I never had a reasonable target for the Claim, and had it been the Master of Waves I took out for it I probably win that game. 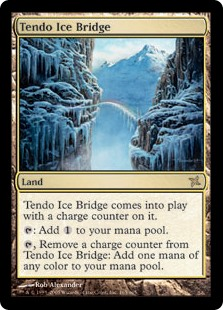 However, in retrospect, I could have Claimed his Tendo Ice Bridge early on, which meant that he would have had to pay an extra two life for his Dismember and thus lost. That said, there was no way for me to know at the time it would have mattered, and if he had ever gotten out Eye or Temple I would have been in serious trouble. That doesn’t mean that it isn’t a frustrating thought. Though I’m out, I stick around partially to see if some Denver friends make it in (only two do out of four) and partially to locate Jordan, via his Round 9 pairings, and get to watch as he narrowly (from where I was standing anyway, he’ll tell you if it actually was) loses to Affinity in three. The advantage of never bothering to upload a profile picture is the look on correspondents faces when you ambush them and introduce yourself. That done, we have time for a few games before food calls him away. I sign up for the Sunday Super Series but it goes even worse. I flood to death my first two matches and then lose a narrow race to Infect in three games, so I take the hint and stop playing. Sometimes you just run poorly and there’s nothing you can do about it. Variance is part of the game and when it’s not on your side there’s nothing you can do. Accept it and move on, even when it is a bitter pill. Part of my reason for going in the first place was to question Aaron Forsythe about Eldrazi and Modern in general, but if he was there before Sunday, I certainly never saw him. Even on Sunday he was hard to find, which is surprising considering he’s a white-haired giant in a maroon shirt. I eventually tracked him down when he was being interviewed by Brian David-Marshall, intending to ambush him once he was done. Instead, he made a beeline for some pros he knew that were closer to him than I was, and I didn’t get a chance to talk to him until he was back at the gunslinging table. That’s where I got crushed by his Chord deck thanks to drawing all four Aether Vials instead of Spreading Seas. Like I said: colder than the Antarctic, my weekend. Unfortunately, there was a line so I couldn’t take as much time to question him as I would have liked, and got sidetracked talking to him about why I don’t play Standard (reasons which he either has heard a lot before, or he also feels like I do because he preempted all my conclusions about the past several sets with my conclusions), but I did get one clear and unequivocal answer from him: Wizards was just as surprised as we were by Eldrazi’s success, and are deeply disappointed with how this has played out. I asked him directly if they were surprised and he immediately said yes, so you can take off your tinfoil hats: this was never expected or desired by Wizards. Now, going off what I overheard from his other conversations, I believe that we can expect to see a lot of changes coming down the pipe from Wizards. Mr. Forsythe was quizzed about a wide range of topics and, while he was playing his cards close to chest, he repeatedly said, “Everything is up for consideration, including <that>.” I think it’s safe to conclude that if you’re unhappy for whatever reason, Wizards has heard that complaint already. Once this disaster is cleaned up, they will be talking about said complaint in the near future. What exactly that means I don’t know, but it’s interesting to speculate about. He did elaborate a bit on why they didn’t extensively test Modern like they do Standard (most of which boils down to “there are too many cards in the pool”), but they will be watching more carefully for problems from wonky combos or fast mana. Particularly lands that have never previously seen play. Also, if you’re frustrated with the Wizards website, so is Wizards’ R&D Director, though it seems their internal site is worse. Anyway, lets stop talking about the past and start talking about the future. Eldrazi will be getting swatted down and this will bring the metagame back to something approaching normalcy. The question now is what will that normalcy look like. Splinter Twin’s pillar was replaced by an Eldrazi monolith and we don’t have a clear indication of what the metagame is “supposed” to look like anymore. Regionals is the closest we have and, even there, the Eldrazi were starting to stir. However, from looking around the Sunday Super Series players and looking back on the Regionals results, I have a pretty good guess. I’m not saying that this will be “the metagame,” but it will be where “the metagame” starts to form come April 8 ceteris paribus. If you’re going to start anywhere then start with Jeff Hoogland. I saw a lot of Kiki-Chord both in the Grand Prix and the Sunday Series and it cracked a lot of Top 8’s looking back at Regionals. It’s not hard to see why: tutoring is inherently powerful and the Toolbox archetype has a long and storied pedigree. Yes, the deck can be hard to play, but in the hands of its master it is a proven win machine. The work you put in will be paid back and with many players switching to the deck after Hoogland’s run at Louisville, we can expect to see a lot them stick with the strategy into the foreseeable future. In my experience, the deck is very strong against aggro and midrange thanks to its many walls, lifegaining creatures, and resiliency to discard. It’s weak to sweepers and pilot error. This is a very powerful strategy, but I expect that, like Amulet Bloom, it will take some time for its metagame shares to reflect this fact. After Chord, I would look to Living End. Travis Woo’s masterpiece has always been a reasonable, if vulnerable, choice in Modern. With many players heeding advice to use it against Eldrazi, I would plan to see a lot of it in the coming months (players hate to waste their investments). I saw plenty of the deck at the LCQs and in the GP, which is why I kept the two Rest In Peace copies in my sideboard. Despite its vulnerability to graveyard hate, Living End is extremely well-positioned, especially if the metagame is aggro-heavy. Don’t just pick it up for that reason though. The deck is surprisingly hard to play correctly, with lots of different sequencing and timing decisions that can have a large impact on a game. If you’re going to walk the undead path, commit to it and find a decent anti-board plan to address your (well-known) weakness. As much as I hate to say it, Abzan Company is the third place to start your post-Eldrazi testing. I’ve played against this deck a lot (it was very popular in my area last summer) and I know that as (potentially) powerful as it is, it is equally inconsistent. You can generate massive boards of walls and mana dorks and do nothing until you die as often as you dance around removal before gaining infinite life and a concession. I wouldn’t play the deck, but it WAS the only deck to beat the Eldrazi over the GP weekend, so I won’t blame you if you do. Work on improving your mulliganing and the deck’s internal consistency if you’re going to put time in and be wary of sweepers. I expect usual Modern suspects (Jund, Burn, Affinity, Infect, etc) will still be present, but if you’re a Modern player then you should already be ready for them. The one I expect to see with the most converts is GR Tron, not because it will gain anything (the Eldrazi sit at awkward places on Tron’s curve) but because Eldrazi players will adopt it, especially if Eldrazi Temple is banned. GR Eldrazi frequently played out like a more resilient if slower Tron so its pilots will find the transition easy, and it’s the only place that World Breaker and Kozilek’s Return have a reasonable home. Combine with All is Dust for a behemoth of a control deck. Don’t skimp on the Fulminator Mages. In a month, the reign of the Eldrazi will come to an end and we’ll look back with relief on Modern making it through this bleak GP season. Personally, I’ll just be glad to remove Sea’s Claim from my deck and go back to playing real cards. Not that I’ll be playing Merfolk: the deck needs some time on ice to think about its poor performance (to give me half my lands in one game is forgivable; three games in a row is deliberate). I also don’t think it’s where I want to be against Kiki-Chord and Tron. The former has too many walls for aggro and Return is a stupid card in the other. Where do I want to be? Tune in next week to find out. Rough draws, bud. Do you think that the field looked good for a Merfolk deck with normal draws to succeed in? Or is Michael Majors’ “splash damage” theory accurate? I’ve been doing well at the LGS level, but I’d like to hear your perspective on a much larger event. Splash damage may have been a factor, but it is a manageable one that I was prepared for, and I’d imagine that the other Merfolk players were as well because at least one made it to day two and was beating Eldrazi. I think it was a favorable field, especially the day two field (UW Eldrazi is a good matchup), but GR Eldrazi is a real problem. Company and Living End are challenging but beatable, so yes I think a well prepared Merfolk deck running well (or even average) would have done very well in Detroit despite my results.